School kids who receive extra support from a teacher aide actually progress slower as a result, according to the largest ever long-term research project into the subject. The ground-breaking study, led by Professor Peter Blatchford from London’s Institute of Education, found that teacher aides had little to no impact on the educational outcomes of their students and at worst, were detrimental to their learning. It is a provocative finding that has wide implications for the UK, where the research was based and where employment of teacher aides has increased three-fold since 2000. 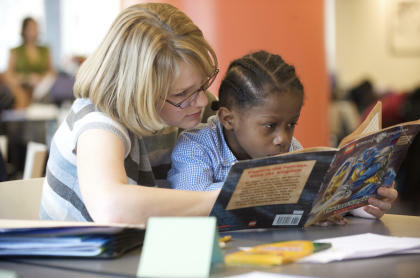 More than a quarter of the UK’s school workforce consists of teacher aides. Professor Blatchford was recently in Melbourne to talk about the study for the Dean’s Lecture at the Melbourne Graduate School of Education, leaving Australian educators with many important points to consider. Here in Australia, we know that the work of teacher aides is important, but a number of actions are required to maximise their impact in local schools. Professor Blatchford and his colleagues found that 75 per cent of classroom teachers felt unprepared to teach students with special needs, and many relegated the planning for and teaching of these students to teacher aides. Their subsequent research has focused on how to make best use of the valuable resource of teacher aide time. 3. Re-thinking how teacher aides are deployed in schools. We must ask ourselves: how do these findings reflect the experience in Australian schools? Moreover, how can the work of teacher aides maximise the educational experiences of students with disabilities? Teacher aides in Australian schools have increased 37 per cent over the past ten years, with schools currently employing 71,700 teacher aides. While significant in-roads have been made into credentialing teacher aides, only 15 per cent hold university qualifications. More than half of Australia’s teaching aides have completed TAFE training, with the remaining 35 per cent having finished Year 12 or earlier. 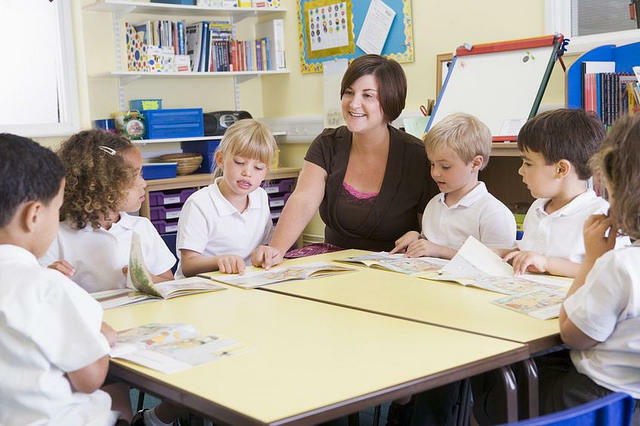 Providing further professional learning opportunities for teacher aides falls largely on school systems and has become a greater priority in recent years (see for example, the Queensland government’s resources for teaching aides). Australian research by Emeritus Professor Tony Shaddock and colleagues supports Professor Blatchford’s finding that to improve the way teacher aides work, collaboration with classroom teachers is essential. Many teacher aides cite concerns about the lack of clarity around the role, working conditions and supervision. These concerns are alleviated by clear role descriptions that specify how aides work under the direction of teachers who retain full accountability for students’ learning. It is important for teachers and teacher aides to schedule time to build relationships, jointly plan, and reflect on their work. Indeed, hallmarks of inclusive schools are teamwork, collegial planning, regular opportunities for reviewing students’ progress and performance, on-going informal feedback, and troubleshooting when outcomes aren’t achieved. Some Australian families have argued in litigation proceedings that is unreasonable for schools to expect their children to access education without the support of a full-time teacher aide. While ideally special education teachers or allied health professionals would be employed, the result is often teacher aides working under the direction of teachers. The most significant factor influencing how teacher aides are deployed in schools is school culture, which is determined by each school’s leadership practices. A way forward is the inclusion, at the executive level, of a coordinator who is across all the learning programs, resources and procedures used to support students with disabilities and learning difficulties in a school. A Learning Intervention Co-ordinator would be key to allowing teacher aides to perform at their best. Professor Blatchford’s description of the situation in UK schools has strong resonance in Australia. While the outcome of his study warrants consideration - particularly in light of subsequent research - it remains clear that, given adequate support and supervision, the work of teacher aides is important. Teacher aides can focus on the learning needs of individuals and small groups, connect home and school, and make teachers’ roles more ‘doable’. Principals also note that the employment of aides reduces adult-student ratios in classrooms, and often allows students ineligible for additional funding to benefit from teacher aides working with groups of learners. But greater professional development for teacher aides, and more planning time with classroom teachers is needed. We also need to re-think the role of teacher aides in schools. The work of Learning Intervention Co-ordinators who ensure a school-wide approach to the support of students with special needs will help maximise the effectiveness of aide time and orchestrate better outcomes for all members of the school community.